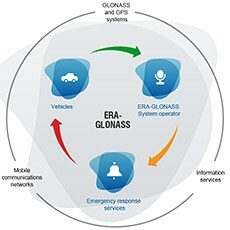 “For the automotive market, flexible and secure ways of connecting cars to networks are mandatory. Our embedded security solutions meet exactly these requirements and will enable a whole new set of services for customers,” explained Yves Portalier, Vice President and General Manager, Telecom Business Unit at Morpho. “Telit is ideally placed to meet the high-performance, multi-constellation requirements of ERA GLONASS and the Russian OEM** automotive and aftermarket sectors. In fact, besides having the broadest cellular IoT modules portfolio in the marketplace, the company markets a comprehensive range of Global Navigation Satellite System (GNSS) modules that provide fast, accurate position fixes even in harsh environments and challenging urban areas,” said Felix Marchal, Chief Product Officer, Telit. ** OEM, Original Equipment Manufacturer, in this case an automotive part that is manufactured by the same company that produced the original part used in assembly of the vehicle.